Thank you for visiting another one of Payne Pre-Owned McColl's online listings! 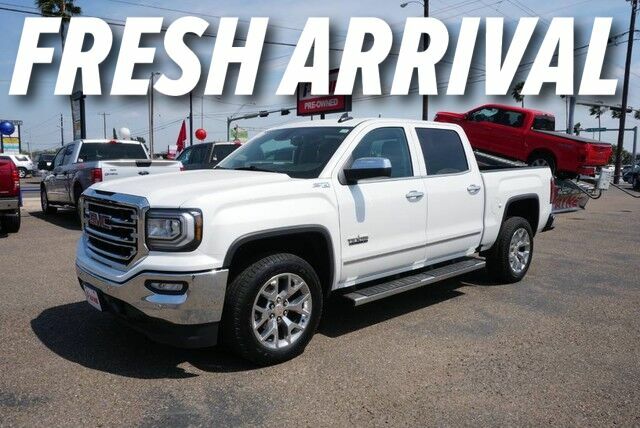 Please continue for more information on this 2018 GMC Sierra 1500 SLT with 45,622mi. Drive home in your new pre-owned vehicle with the knowledge you're fully backed by the CARFAX Buyback Guarantee. Pull up in the vehicle and the valet will want to parked on the front row. This GMC Sierra 1500 is the vehicle others dream to own. Don't miss your chance to make it your new ride. Equipped with 4WD, this GMC Sierra 1500 gives you added confidence to tackle the surface of any path you take. You've found the one you've been looking for. Your dream car.